To celebrate the launch of ‘Space and Settlement in Medieval Ireland‘, a new publication by Four Courts Press, I have one copy of the book to give away (see below for entry details). The book launch will take place next week on Thursday 19 November in the Mansion House, Dawson Street, Dublin 2 and all are welcome to attend. Some more details can be found on Four Court’s website, while RSVP’s can be made to info@fourcourtspress.ie. Based on the proceedings of an annual conference held at Trinity College, Dublin, ‘Space and Settlement in Medieval Ireland‘ contains a fascinating selection of papers which embrace the disciplines of history, geography and archaeology. 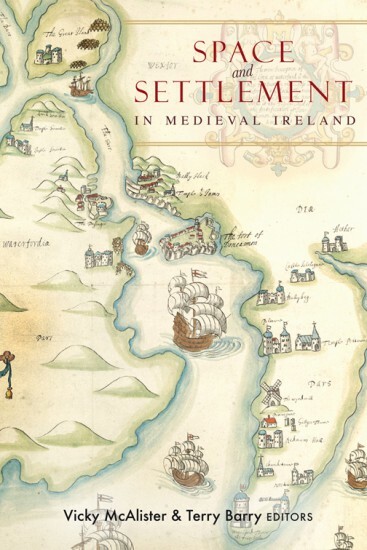 Competition: The good folks at Four Courts Press have very kindly offered a copy of their new publication,’Space and Settlement in Medieval Ireland‘, as a prize in Irish Archaeology.ie’s latest competition. To enter just leave a comment below (all comments have to be moderated so it might take an hour or two for them to appear). I’ll then pick a winner out of a hat (closing date for entries is 6 pm on Friday 13th of November, the winner will be notified on Saturday the 14th of November). Fantastic! Library needs another book please. My mom’s family is Irish and my oldest daughter is studying history at university. What a great Christmas gift this would make! Please put my name in the hat, thanks! Wish there were a paper on crannogs as they fit into the wider landscape included, but would love to read what’s there! Looks brilliant! Definitely would love one. Thx for running the contest. Looks quite interesting. I’ve spent the last 15 years of my career studying cultural landscapes in California. I keep up on the literature globally, especially Ireland. Looking forward to reading this book. Can my wife (who’s doing an archaeology degree) have a copy please? Sounds like a fascinating read. Thank you for opportunity. This looks like some very interesting topics. I’d like to enter the competition, please. Sounds like a great read! Would love a copy, especially since Ireland is where I want to end up working. Thank you for the contest! I just know I would enjoy reading this book. As someone who majored in history so many years ago, who has taken on line archaeology courses and history of Ireland courses, and a family history researcher of my Irish family, I would LOVE to have a copy of this book. It looks to be a fascinating read. Please put my name in the hat for the draw. We just returned from a 14-day trip to Ireland. Our 3rd in 3 years! Looks like a fascinating book, a free copy would be gratefully accepted. 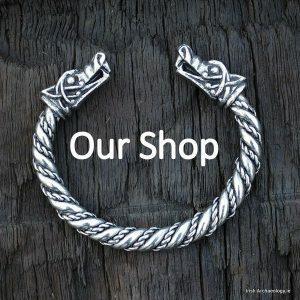 Yet another great publication about life in medieval Ireland. My favourite topic is life in Norman times! The book looks fantastic! I’m fascinated by the medieval period in Irish history and the books contents sound really interesting, especially the discussions of the tower houses. I’m in the U.S. so I don’t know if that disqualifies me but I’d love to also review the book on my website, Wild for Ireland. I just finished grad school and I’m suffering withdrawal. Give me something to read! Hi. I’m intrigued enough to buy my own.ta. I’d love a copy! So excited to see another great sounding publication about this era! Would love a copy of this! I would love that book, looks really interesting. I would like that book and the chance to learn more about Ireland’s history. This looks like a great book, since I am a anthropology major. Next issue could be space and appartments in contemporary Ireland! Why should I be considered to win this new book, well since relocating to Iceland from Australia, it is hard to get good material to read. This book may just have a key answer to why I have settled here. Just finished my thesis on the phenomenology of landscape. Must have this book as it looks incredible. i’d love a copy, looks like a great read! Best of luck with the book…..can’take wait to get a copy of if, one way or the other! This is a fascinating range of papers that can add to the knowledge of anyone interested in getting to know the changing landscapes of the island of Ireland and the historical and social influences that shaped them. I would love to have it. Wonderful, this looks like it fills in some big holes in the information available in the field. I love the site, it informs my holiday trips home. I’d love the book too. I gave all my books to the Comanche Nation College, and now my bookshelves are empty; they need refilling. Would love a copy of this book. Both the articles on urbanization and the ones on tower houses sound fascinating! Would love this. What about that Toirdelbach? I would very much like to have a copy. Super range of topics. Looking forward to getting my hands on this one. I would love a copy of this! Fingers crossed! Looks fascinating! Hope the launch goes very well. Can Canadians enter? If so, please consider this my entry! I would LOVE a copy of this…. And November 16th is my birthday (for real). I would even spring for shipping to the US, and, even if I don’t win, could you tell me how to order the book and would you be interested in a review and blog interview? Thanks! Would enjoy a copy, thanks for the opportunity. What a beautiful cover this book has! It has quite a fantasy, mythological feel about it. I’m sure it will make for fascinating reading. Looks like a great publication. I will definitely have to get a copy one way or another! Sounds like an interesting read, something to pass the long winter evenings. I would love to add this book to my library. Sounds like a good read, very interested in medieval Ireland! I would love to add this to my library! I’d love a copy, not least because this Sunday the 15th is my birthday and also because I am in the middle of writing a detailed paper on the settlement of the Gaelic learned class in late medieval times. This book would therefore be most helpful! I’d be glad to have a copy. Maybe it would help me think of some bicycle destinations on my next visit in the spring. I guess this is as good as any reason to thank you for the blog. 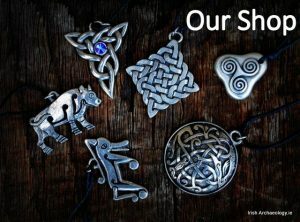 I am an Irish descendant living in Atlantic, Canada with a passion for Irish history and archaeology. This blog feeds my hunger for facts and the interesting stories uncovered in the earth, fuel my imagination to work out my roots and family stories. The book looks like a fabulous read with so many interesting articles. Thank you for the work you do. Greetings from Canada and the Irish Diaspora…would love a copy! Best wishes on the book launch! Being of Irish decent I’m always curious of how we became “Irish” When the people migrated across Europe why did we settle on that blessed isle and make it home? Curious to read this book for any new information ok thanks!!! I would love this book. It looks very interesting. My second book (out next year) takes place in southern Ireland (the Dingle and Iveragh peninsulas) in the 11th century. This book sounds like a great reference! Good evening, I once knew someone who was Medieval or so he told me…I’d like to check out some of the facts. I think a copy in Battle Creek, M.I, USA would be great. Give it to John Gorentz ! Cool I’d love to have a read of this. I would love a copy. I’ve written about ancient Ireland, and from the twentieth century forward, but never about the Middle Ages. I would love to be enlightened. Thank you. Would love a copy. Looks like another great book. Would love to add this to our Medieval Irish Re-enactment group’s library in Australia. Looks good, some very interesting essays in there! Sounds amazing, hope to make the launch! Some great research in there – just a shame I can’t make the launch! Looks an interesting publication worth a read. This looks like a really good “view” of the period judging by the “cover”! Sounds a good read, please put me name in the draw. Good luck with the launch and thanks for the chance to enter the draw. Looks like a read and a half – something in there for everybody….. Sorry I’m so late to the party. How can I get a copy?